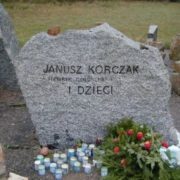 Everyone knows that Janusz Korczak was a teacher and writer. But not everyone knows that his main profession was a doctor. 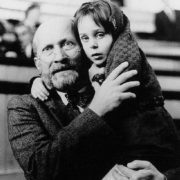 In pre-war Poland, Janusz Korczak was called Pan Old Doctor. 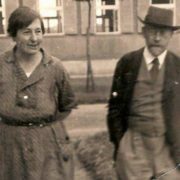 Henryk Goldszmit, known worldwide as Janusz Korczak, was born on July 22, 1878 in Warsaw into the family of a famous Moscow lawyer and writer. Parents were not very interested in raising his son, and he grew up as a closed, shy child, immersed in the world of his fantasies. 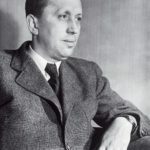 When Henryk was seven years old, he was sent to a Russian gymnasium, where he studied Latin, French, German, Greek and many other subjects. In 1889 the Goldszmit family experienced a great shock: the father had signs of mental illness. He was placed in a special clinic. Money for treatment soon ended, the mother had to sell paintings, porcelain, furniture… The prosperous life was over. To support the family, the young man had to give lessons to children from wealthy families. For the first time he proved himself to be a capable teacher. 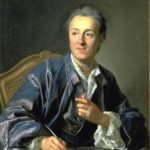 When his father died, the young man felt responsibility for the family even more and, despite his obvious literary abilities, decided to become a doctor to be able to help his mother. 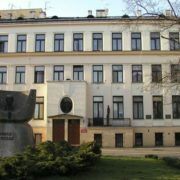 In 1898 he graduated from the gymnasium and entered the medical faculty of the University of Warsaw. However, he did not stop writing. 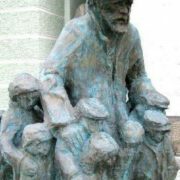 Henryk signed his works with the name Janasz Korczak. But it turned out that the compositor mistook one letter in the name – and the writer Janusz Korczak appeared. After graduation Henryk started working in a children’s hospital, but in 1904 he had to wear a military uniform as the Russo-Japanese War began. 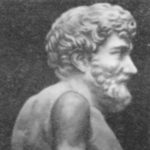 Returning home, he continued his medical practice and soon became a well-known doctor. 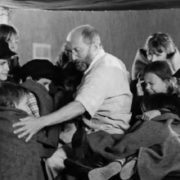 However, Korczak spent most of his income on medicines for the poor, which made him an idealist among colleagues, some people even called him crazy. And in his spare time he wrote stories. 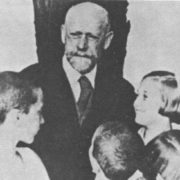 Even in his younger years, Korczak decided not to have a family (because of heredity), but to devote his life to disadvantaged children. 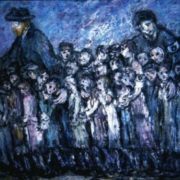 In 1911, he became a director of a shelter for Jewish orphans. 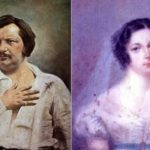 His assistant was Stefania Vilchinskaya. However, soon he had to go to the front again – the First World War began. 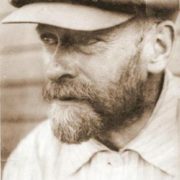 On the way to the division hospital on the Eastern Front, Korczak contracted typhus, and at the insistence of his mother, he was transported to her apartment. His mother died of typhus. His thoughts, his feelings, as well as his dreams of peace were reflected in the surprisingly wise and sad tale King Mathias the First. He was a presenter of a radio program in which he told his own tales, talked with radio listeners about the relationship between children and parents, and about health problems. 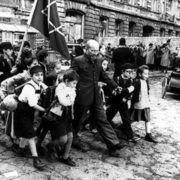 By the beginning of the 1930s, Korczak had become a famous personality – a writer, a teacher, and also the author of a unique work entitled The Child’s Right to Respect. 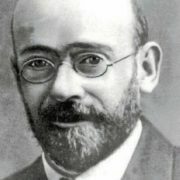 In 1933, Janusz Korczak was awarded a high award – the Silver Cross of independent Poland. So the motherland marked his outstanding achievements in pedagogy and literature. But a year later the Treaty on the Equality of National Minorities, signed after the First World War between Poland and the Entente powers, was annulled, and Korczak was a Jew. The Old Doctor’s speeches on the radio stopped, he was no longer invited as a consultant to the juvenile court sessions. 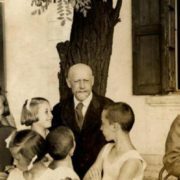 In the summer of 1939, Korczak was in a summer camp with children. And when they returned to the city, it was already late: in September the Germans occupied the Polish capital. 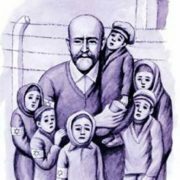 Korczak tried his best to protect his pupils from what was happening. He gave lessons and even led a drama club. 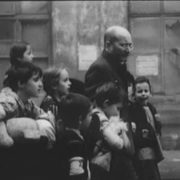 Despite the terrible attitude of the invaders to the Jews, Korczak didn’t even think that they could hurt children. In those days he was afraid of only one thing: if something happened to him, his orphans would be on the street again. 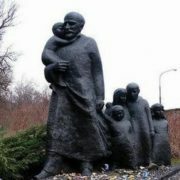 Korczak was in search of food, firewood, medicines for children. He bought, begged, bartered… Soon all Jews had to wear a bandage with a yellow six-pointed star on their sleeves. Korczak ignored this decree and wore the military uniform of a Polish officer. In October 1940, a ghetto appeared in Warsaw. The house of orphans was also resettled in the ghetto. At the entrance to the ghetto, they confiscated a cart with potatoes. 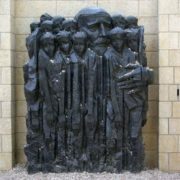 And when Korczak, outraged by this, went to complain to the city commandant, he was beaten and thrown into prison. 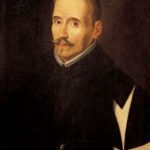 A month later, his former pupils brought a ransom. 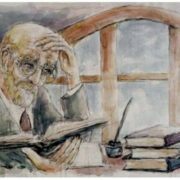 Korczak turned into a real old sick man. And life in the ghetto was getting worse. 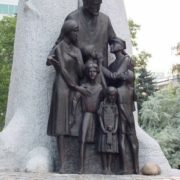 Due to famine and unsanitary conditions, typhus began. The corpses of children and adults were in the street. 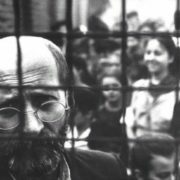 Unable to reconcile with what was happening, Korczak began to seek oblivion in alcohol. 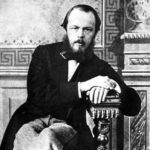 At night, when no one saw him, he drank vodka, smoked a lot, persuaded himself to live. There were rumors about the liquidation of the ghetto, about the transportation Jews to concentration camps. 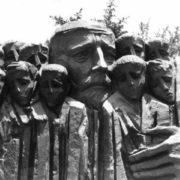 Friends invited Korczak to flee, but he refused. 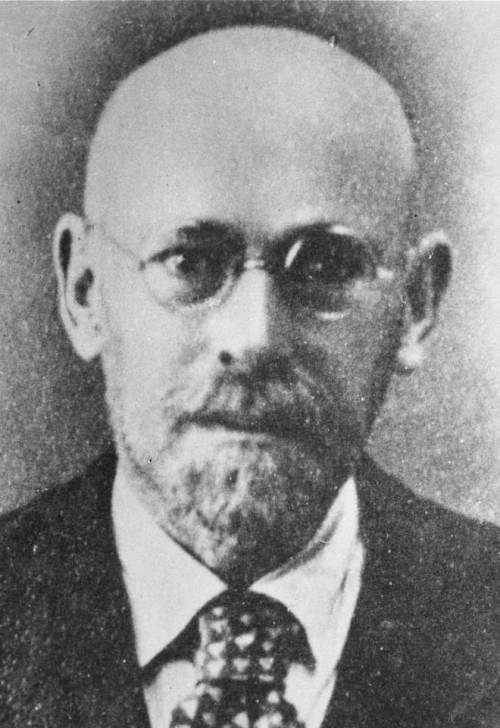 Janusz Korczak was killed on August 6, 1942. However, today he remains in the memory of people thanks to his books and life devoted to children.